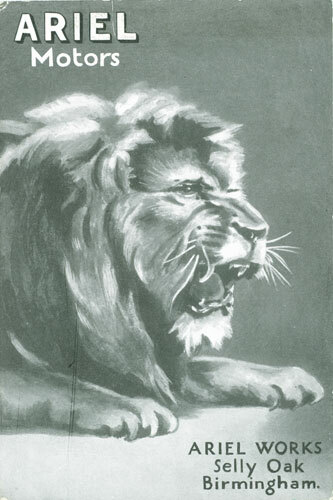 The postcard on the right dates from the early 1900's. It is a Music Hall act, Hall and Wilson. 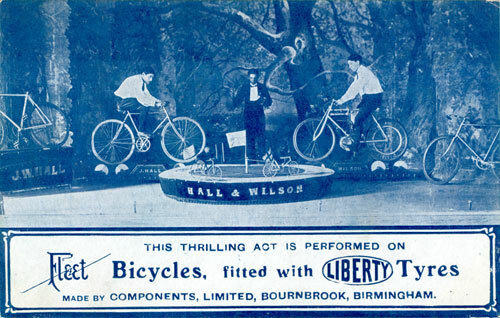 Cycling acts were popular at the time. This was roller racing, with the two cyclists racing against each other, driving the two small cycles on the central disk to show who was winning. No doubt the audience cheered them on. Climax of the event would have been the race of man against machine, with one rider on the Fleet motorcycle. 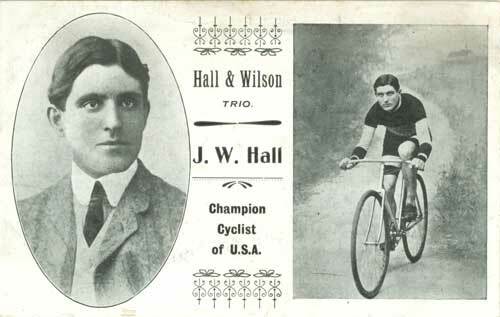 A postcard of J.W.Hall, not an Ariel postcard, describing him as Champion Cyclist of the USA and again referring to Hall and Wilson. I can find no information about either of these two gentlemen, would be interested in any info. 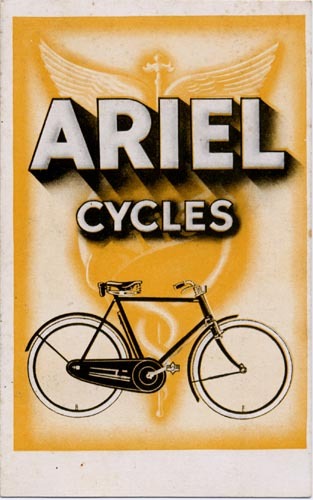 Left, an Ariel cycles postcard from about 1920. See the Posters page for a similar hoarding poster. 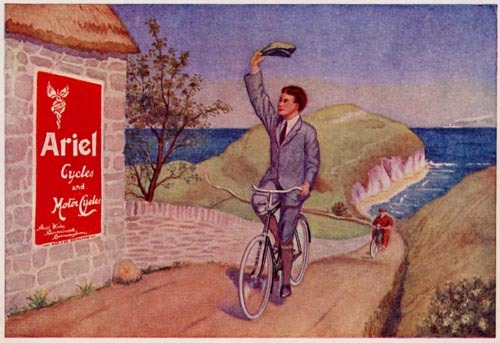 Above, this Ariel postcard probably dates to around 1910. 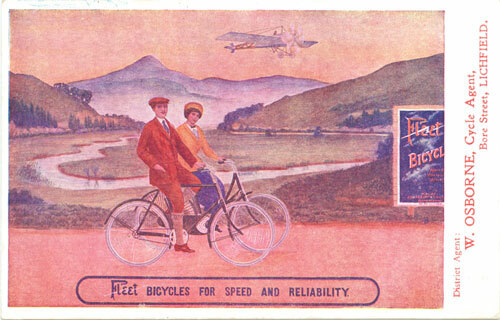 Right, an early Fleet Cycles postcard. Date uncertain but the style of clothing and the aeroplane seem to indicate pre-1914. 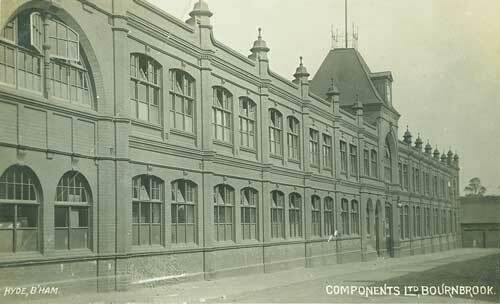 Right is a photographic postcard of the old Dale Road factory. 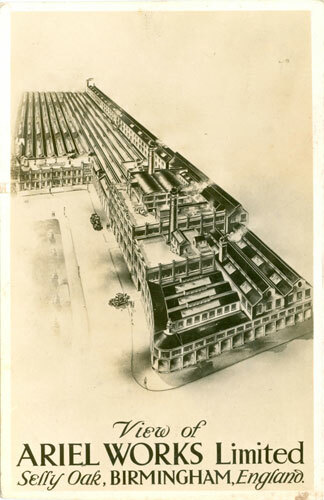 Left, 1930 Postcard of the Ariel Works Dale Road buildings. 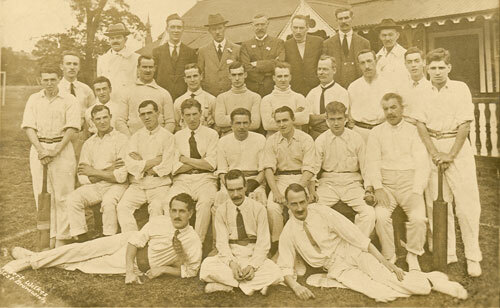 Above, the Ariel Cricket Team at Edgebaston in 1918. Click to see the reverse. 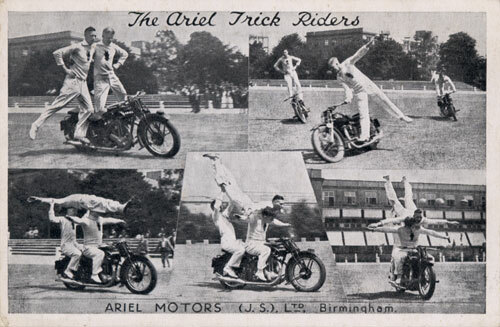 Above, the Ariel factory ran a team of trick riders on motorcycles in the late 1920's and into the 1930's. 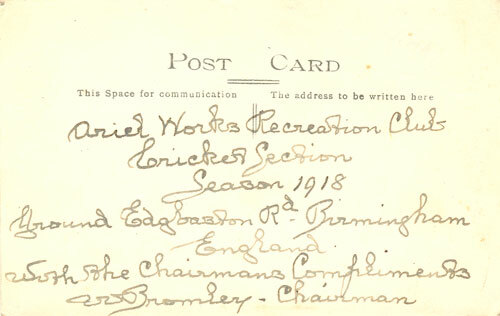 This postcard shows the team in 1929, although the postcard probably dates to 1933 as that was when (J.S.) was added to the name. 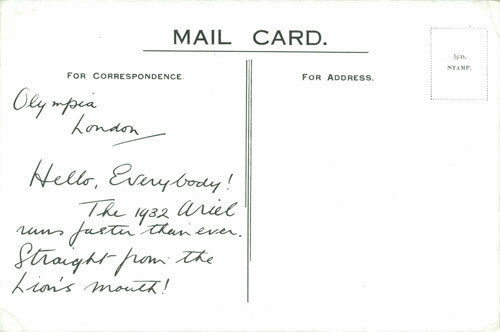 Left, this postcard dates to the Cycle and Motorcycle Show at Olympia in 1931. Click to see the reverse.